I accompanied Elliott and his classroom on their first school field trip to the pumpkin patch. 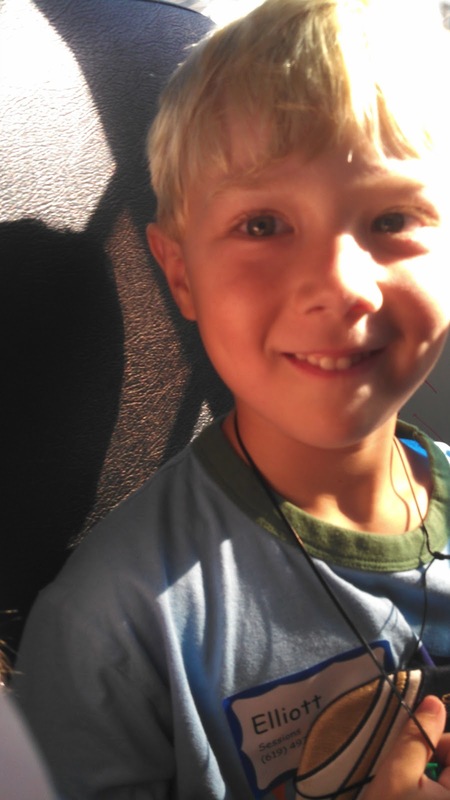 This was taken on the school bus on the way there. Can you see the joy and happiness on his face?